Aaand there is only one in existence right now. LTT says there will probably be a $500 pack of the case and heatpipe you can build your own system into at/after CES this year. All I can say is that if they really release it... I'd be ecstatic to put my current config (4770K+1080) into the $500 case. But yeah, thank god I'm not going on LAN parties anymore. ( ) Jugging around the P180b once in a sling case during aheat stroke in the summer through the whole city on public trasnport was enough. I'm not sure I could move this one from one end of my room to another. pounds, lbs, # all work. # is usually called the hash key in the UK, might be else where. As pound is usually £ here. Might be elsewhere. 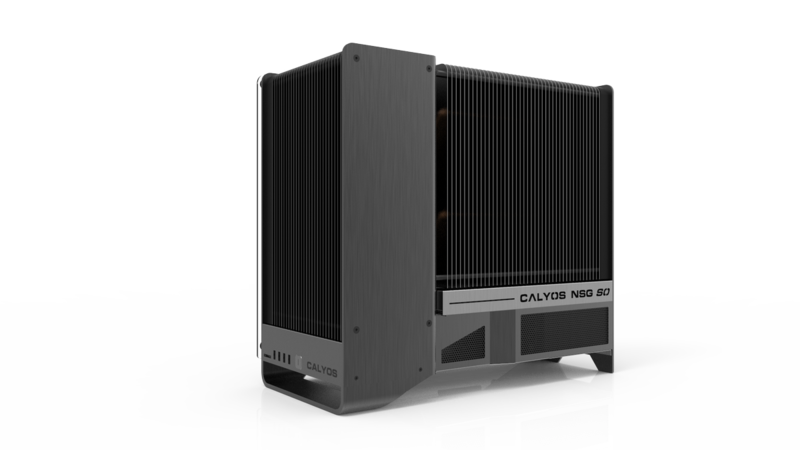 They launched today their Kickstarter campaign for the Calyos NSG S0 Fanless Case. I've registered my email with them to receive a notification when it starts, and managed to make a pledge today while there were super early bird level pledges still available. Those went very fast. They've managed to receive more than half the amount they requested in less than a day, so I hope this campaign is successful and I'll get my unit. Sorry, could not post about this sooner, I was at work. On their twitter account there are more renderings than on their Kickstarter page where they mostly show their pre-production and production prototypes. Wow, that is a lot of cooling fins. 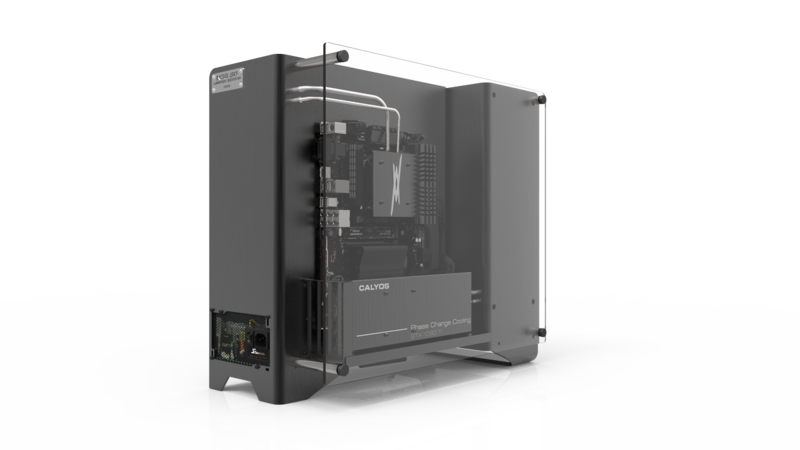 In case someone is folowing this, they went on kickstarter, its a very expensive case, but if it performs as the reviews have place it, for us, seems like the ultimate setup. Well, at least they've got the weight down to about 48 lbs now.